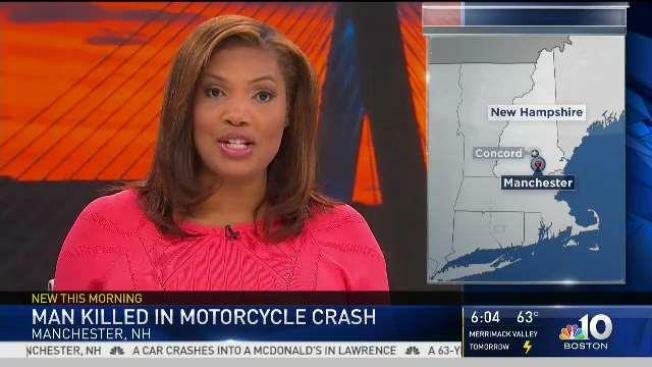 Authorities in New Hampshire say a motorcyclist was killed in a crash. The crash happened Sunday afternoon in Manchester along the split between interstates 93 and 293. Responding police discovered the motorcycle at rest on a guardrail. Police say first responders performed CPR on the 63-year-old Paul Mondoux of Merrimack, New Hampshire before he was pronounced dead at the scene of the crash. The cause of the crash is unclear.